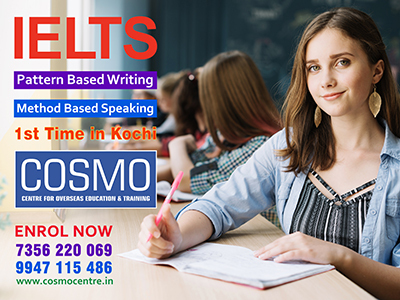 If you have ever thought or dreamt about the possibility of going to western nations to study or work, then IELTS Coaching in Kochi is a must. 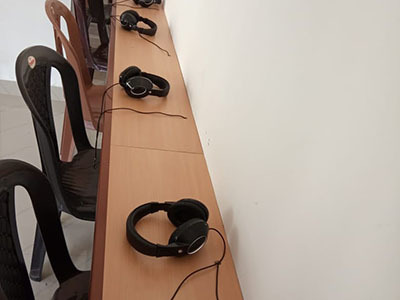 Though there are plenty of IELTS Coaching centres in Kochi to choose from, it would be prudent to choose the IELTS Kochi Academy which offers the best IELTS training in Kochi through its cutting edge techniques. 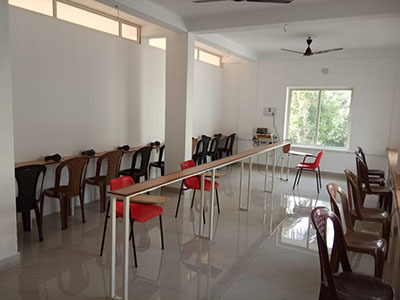 There is no use whatsoever if you have to enrol in an IELTS Coaching Centre in Ernakulam and have to learn the same IELTS techniques that you can get for free in the internet. 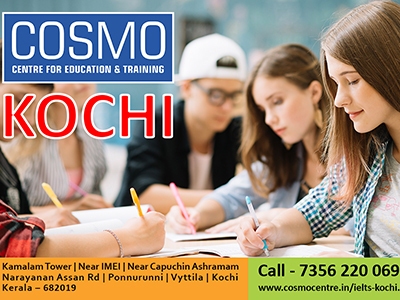 We at COSMO Vyttila, Kochi teach you the Pattern Based Writing Techniques, Method Based Speaking Techniques and Speed Reading Techniques which are pioneered and taught ONLY by COSMO IELTS Centre in Kochi and at our other IELTS centres (branches) in Kerala. 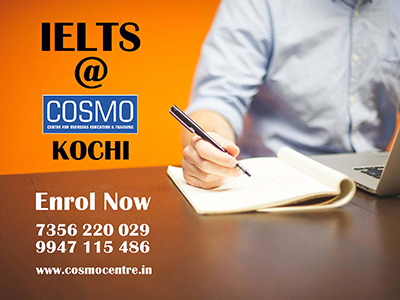 COSMO IELTS Centre Kerala is renowned for IELTS techniques that makes the life of the students, aspiring to score high, a lot easier. Cutting edge IELTS techniques are our forte and those who have a got a complete taste of the same have never failed to achieve 7+ in IELTS exams in Kerala and abroad. 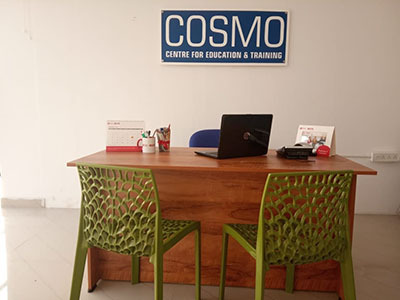 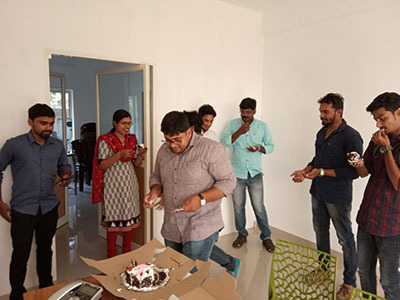 At our COSMO IELTS Kochi ( Ernakulam) Centre, students’ task would be cut out as the trainers would be working hard to ensure you succeed in the IELTS exams. 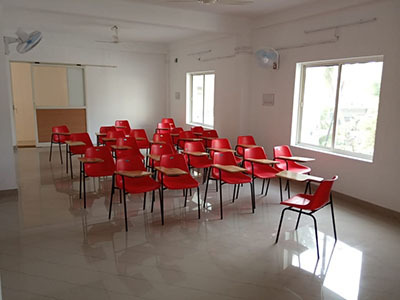 We conduct IELTS preparation course in Kochi( Ernakulam) for both General and Academic IELTS. 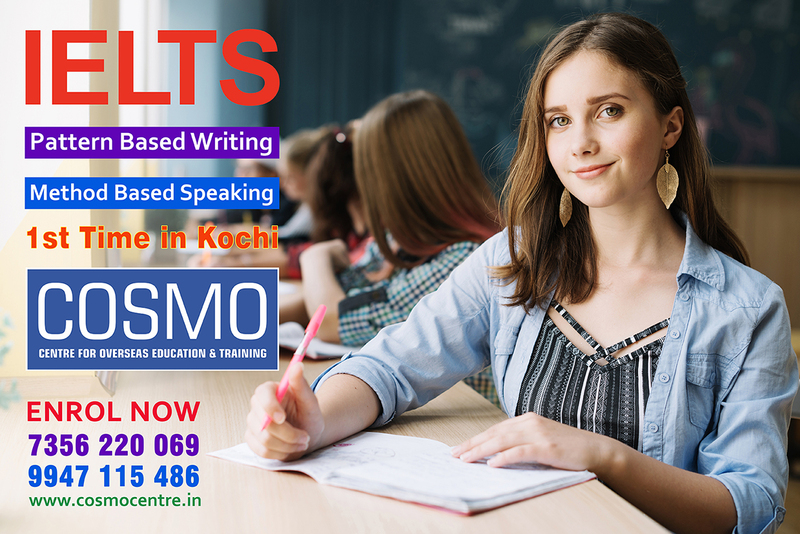 The IELTS Classes in Kochi (Ernakulam) are conducted by thoroughbred IELTS coaching professionals who certainly know a thing or two about making you achieve success in IELTS Kochi exams. 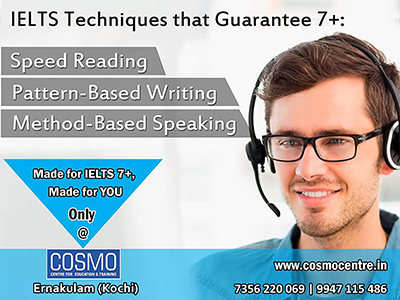 Having flogged thousands of IELTS Kochi dreamers to destination 7 plus, you can safely enrol at our IELTS Coaching Center in Kochi as your future is in safe hands of the most seasoned IELTS Kochi tutors who know the ins and outs of IELTS coaching/ training in Ernakulam. 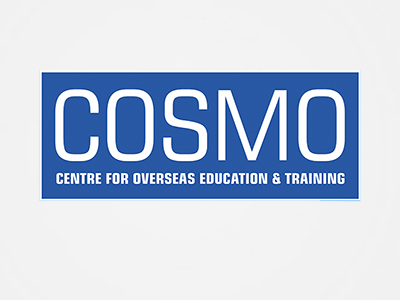 All modules are handled comprehensively and innovatively with a panache that can only be had at the best IELTS Coaching institute in Kochi - COSMO Centre, Vyttila, Ernakulam. 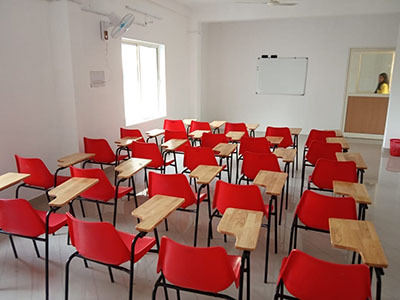 It certainly can feel like a daunting task to do the IELTS Preparation - in Kochi - on your own. 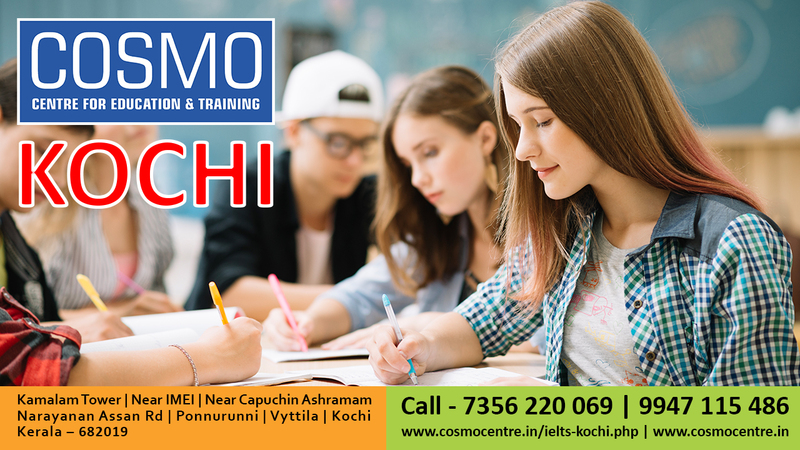 We recognise the difficulty that IELTS students in Ernakulam face and make sure to provide IELTS Kochi coaching in a mode that is digestible, understandable and deliverable. 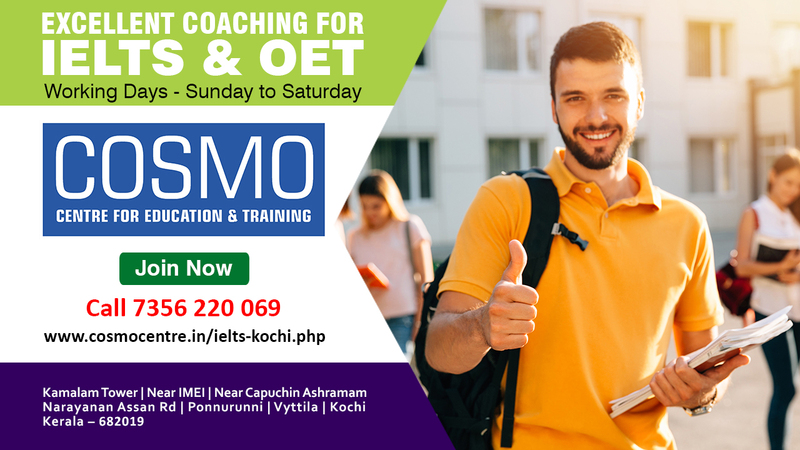 With our technique - based IELTS coaching in Kochi (Ernakulam), you shall be more at ease during the IELTS exam when many students get unnerved and stressed out. You get all of the IELTS techniques, dedication of the staff and the thorough expertise, for an IELTS Course fee in Kochi that is reasonable and well worth what you pay for. 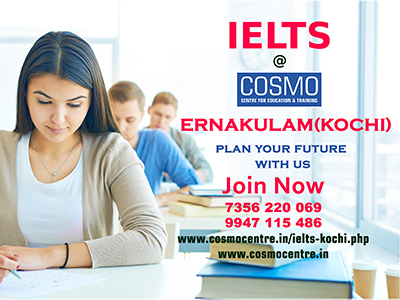 For IELTS Exam fee in Kochi or for the IELTS Course fee in Kochi ( Ernakulam), please contact our friendly office staff @ ‭90744 07881‬. 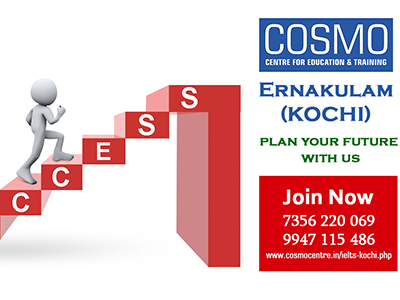 Take your IELTS Coaching in Kochi from the experts in Kochi and Kerala for best results. 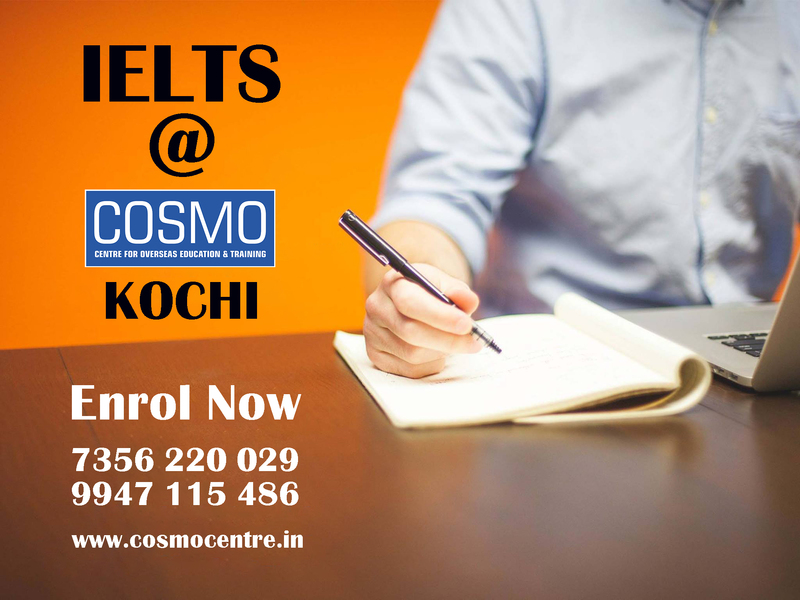 For IELTS in Kochi, please contact us at 9645220486. 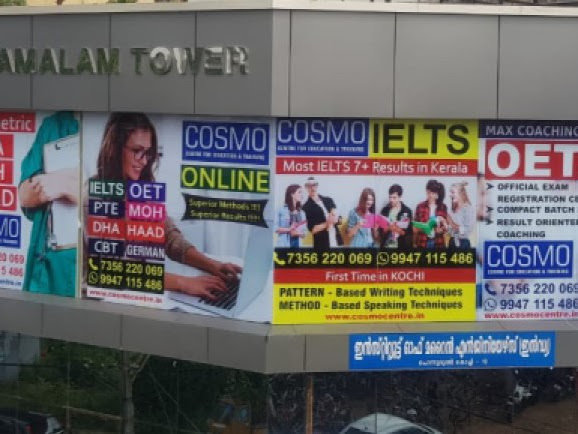 For those looking for IELTS Coaching centres in Vytilla, COSMO Center Vytilla, Kochi is a perfect fit as we offer the most innovative IELTS concepts right at our doorstep. 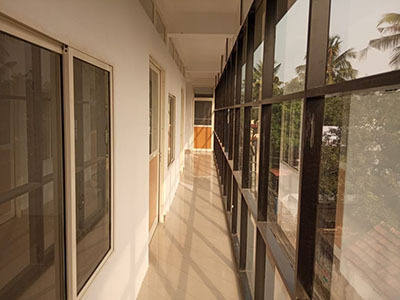 You get the best of everything right in your neighbourhood in Vytilla. What more can one ask for !! 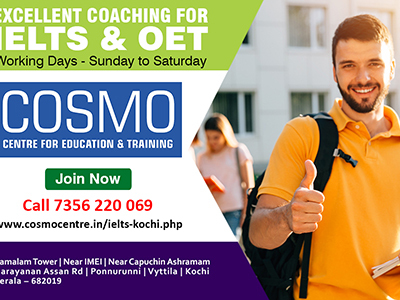 Being the hub of transport stations, it’s also easy to reach COSMO IELTS Centre Vyttila by bus or any other mode of transport from Edapally, Kalamassery, Kakkanad and Kadavanthara. 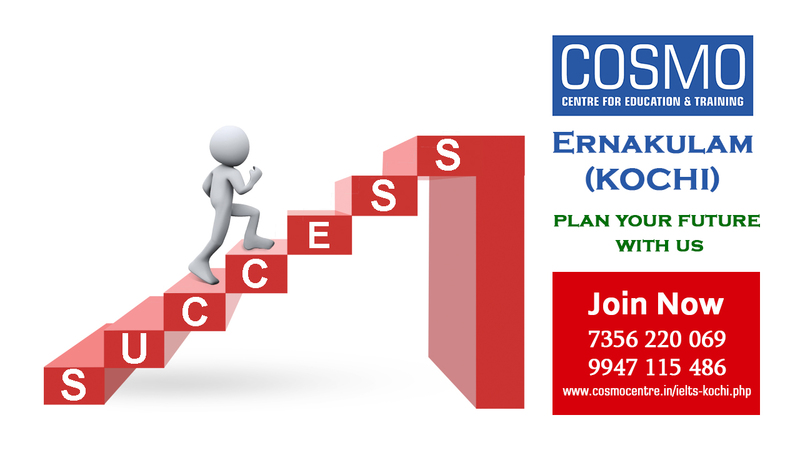 Prospective IELTS Students looking for IELTS coaching in Kakkanad, please call 9539691368. If you are looking for IELTS Coaching in Kakkanad, then COSMO Vyttila would be a excellent option as it doesn’t take too long to reach our IELTS Coaching centre in Vyttila. The same goes for, if you are a prospective student and looking for IELTS Training in Edapally or for IELTS Coaching in Palarivattom as Vyttila is a hub which has easy access from all parts of Ernakulam. 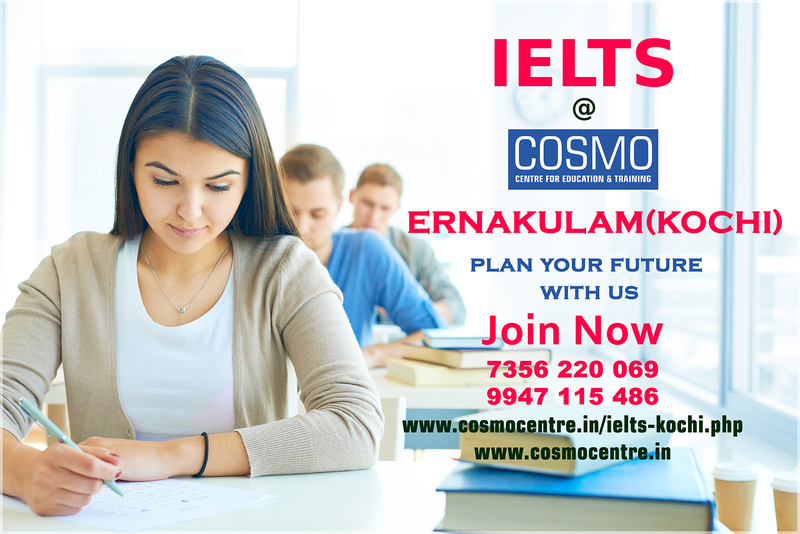 For those looking for the best IELTS Coaching Centre in Aluva,Kochi please contact our customer care number at 99471 15486.